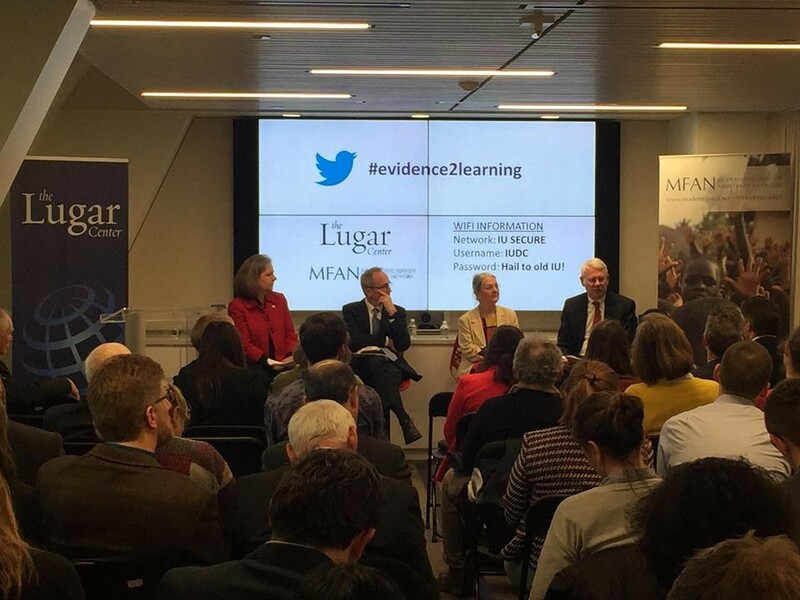 On March 20 The Lugar Center (TLC) hosted a public event in partnership with the Modernizing Foreign Assistance Network (MFAN) to discuss our recent report on the state of evaluation and learning to improve the effectiveness of U.S. foreign assistance programs. In opening the program, Lori Rowley, Director of Global Food Security and Aid Effectiveness programs at The Lugar Center, noted that the leading U.S. aid agencies have come a long way in evaluating their programs in recent years and thanked their representatives for joining in the candid conversation about what challenges still lie ahead to improve programs and their outcomes. MFAN Co-Chair George Ingram, Senior Fellow at the Brookings Institution, provided remarks on MFAN’s reform pillars and then introduced Rob Blair, Associate Director for National Security Programs at the Office of Management and Budget (OMB), who provided keynote remarks on the Trump Administration’s recent release of new guidelines for all agencies engaged in providing foreign assistance. OMB had been required to develop the guidelines under the bipartisan Foreign Aid Transparency and Accountability Act of 2016. Blair noted the importance of evaluation and learning in order to manage for results and that the new guidelines are intended to do just that. 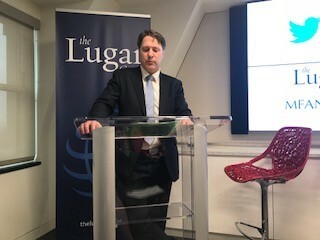 Speaking before an audience of nearly 100 people at The Lugar Center’s office, Blair noted the large number of people interested in the topic. The event also included a panel discussion with leaders from each of the agencies – The State Department, the US Agency for International Development (USAID), and the Millennium Challenge Corporation (MCC) - whose evaluation and learning programs were reviewed in the TLC/MFAN study. Although the study was critical of the lack of a systematic process with committed leaders to embed evaluation and learning into agency programs, Patricia Rader, Acting Deputy Assistant Administrator in USAID’s Bureau for Policy, Planning and Learning, shared the continued progress in her agency’s efforts to strengthen evaluation and learning by developing a program cycle learning agenda. While our report criticized the Department of State for lacking a culture of learning, Gordon Weynand, Managing Director of the Planning, Performance and Systems Division in State’s Office of Foreign Assistance Resources, highlighted progress in altering this situation. He reported that more bureaus are now performing evaluations, and the Department has begun to develop a community of practice. Tom Kelly, Acting Vice President for the Department of Policy and Evaluation at the MCC, emphasized the important role that civil society, including programs such as our event, plays in holding agency leadership accountable for ensuring high standards in foreign assistance programs through evaluation and learning. The audience engaged both Blair and the panelists in a number of important policy questions, including inquiring about plans the administration has to support other agencies now required to develop their own evaluation policies and what each agency is doing to create a culture of evaluation and learning that is embedded across agency leadership. Foreign Aid Effectiveness is a key pillar of The Lugar Center’s policy work, and we are pleased to have led this conversation for improving the effectiveness of U.S. foreign assistance programs. Programs that achieve their intended outcomes bring credibility to the use of U.S. taxpayer dollars, improve the lives of people across the globe, and help ensure a more stable and prosperous world. For more information on this event and a blog series on the topic, follow the Twitter conversation at #Evidence2Learning.